I can't believe this series is coming to an end. 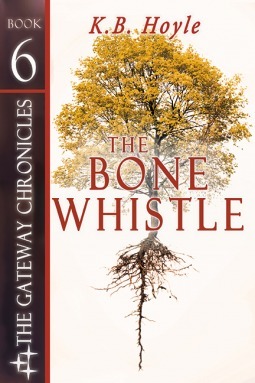 The Gateway Chronicles by K.B. Hoyle will always hold a special place in my heart. My niece was practically a non-reader before starting this series. Last year, she was the top reader in her class. I will miss the excitement of a new book that I have shared for several years now with my niece. Darcy burned with the pain of knowing she’d failed. What happened when a prophecy didn’t come true? It must not have been much of a prophecy in the first place. And if they couldn’t trust in that, then they couldn’t trust in anything at all. Five years ago, Darcy first received the prophecy of the Six, which stated she and her friends would save the land of Alitheia from a shadowy foe. For five years, she hasn’t known what the end will look like, but she certainly didn’t expect this. Thrust back into Alitheia through unexpected means, Darcy winds up alone, scared, and without her recent memory. As she struggles to regain her lost memories and reunite with the ones she loves, she pieces together the prophecies and the oracles to find they all converge into one story—a story that tells her just how much she’ll have to give to save both worlds, and everyone she loves. I'm hoping to read this very soon!